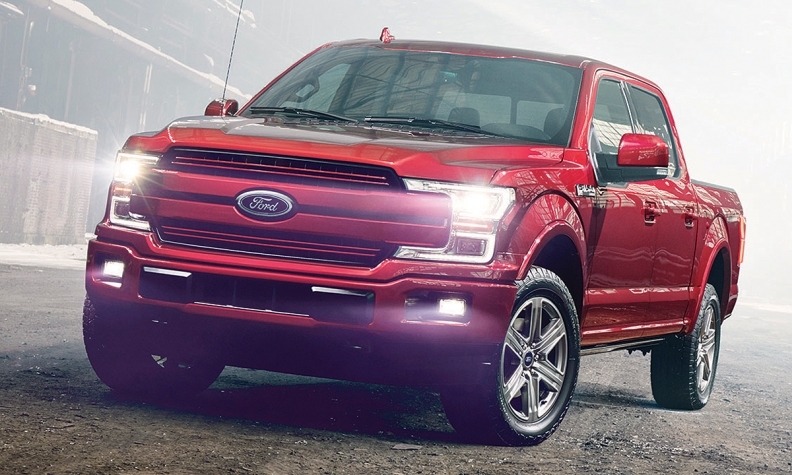 The Vincentric survey found that every Ford truck was cheaper to own over five years as a diesel, by a minimum of $8,215 and a maximum of $8,856. A Canadian survey by Vincentric shows a marked difference in the long-term cost of diesel ownership between Ford and General Motors trucks: diesel Fords are consistently much cheaper to own over five years, while diesel Chevrolets and GMCs are consistently much more expensive. Both automakers say they were unaware of this difference until the survey, and even Vincentric has no explanation as to why. The Michigan-based data-analysis company looked at the ownership costs for 280 diesel-powered vehicles, of which 220 were pickups. Those trucks were every variation of the Ford F series, Chevrolet Silverado, GMC Sierra and Dodge Ram. The survey did not include the Nissan Titan or smaller Chevrolet Colorado and GMC Canyon. Vincentric considered eight different pricing factors to determine the true cost after purchase of owning each vehicle over five years, assuming 25,000 kilometres a year: the cost of fuel, depreciation, fees and taxes, financing costs, insurance, maintenance, repairs, and “opportunity costs,” which are any potentially better uses for the money. Each vehicle was then compared to its gasoline-powered equivalent, and in every case, better fuel consumption for the diesels meant they saved several thousand dollars. All the pickups varied between a fuel savings of almost $4,000 to almost $5,000. The actual cost of ownership varied widely, however, when the purchase price and its affecting factors were considered. Every Ford truck was cheaper to own over five years as a diesel, by a minimum of $8,215 and a maximum of $8,856. Every General Motors truck was costlier as a diesel, by a minimum of $6,771 and a maximum of $8,019. Ram 1500 trucks — of which there are both gasoline and diesel variations — were similar in price, but became much costlier as 2500 and 3500 models. There are no official figures for fuel consumption for the three-quarter-ton and one-ton trucks (2500 and 3500 models); Vincentric estimated their consumption based on what its analysts know of the engines. Mike Sinuita, truck marketing manager for Ford of Canada, stressed Ford does not have a policy of promoting diesel trucks over gasoline. The Vincentric survey also analyzed four cars and 56 utility vehicles and vans sold with both diesel and gasoline-powered engines. Thirty-nine of those vehicles were cheaper to own as diesels. The greatest cost difference was with the Range Rover diesel, which was estimated to save its owner more than $22,000 over the gasoline-powered version at the end of five years.